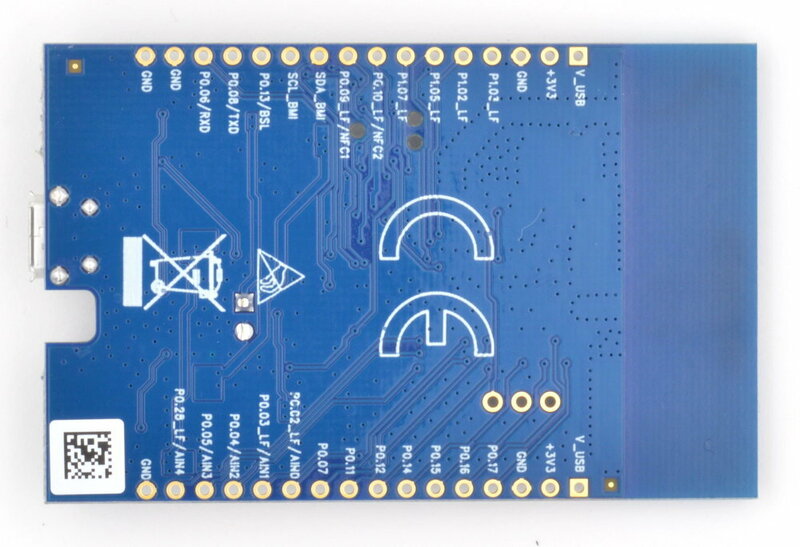 The In-Circuit radino40 DW1000 Breakout is an application development board for the radino40 DW1000 module with additional peripherals. It contains a 3.3V voltage regulator, USB micro connector, 6-Pin TC2030 TCX Plug-of-NailsTM SWD connector for programming and debugging, BMI160 low power IMU, LiPo/Li-Ion charger, 2 push butons, 3 LEDs, UWB- and Bluetooth®- antenna. Many of the radino40's IOs are connected to two 16-pin headers with 2.54mm pitch. 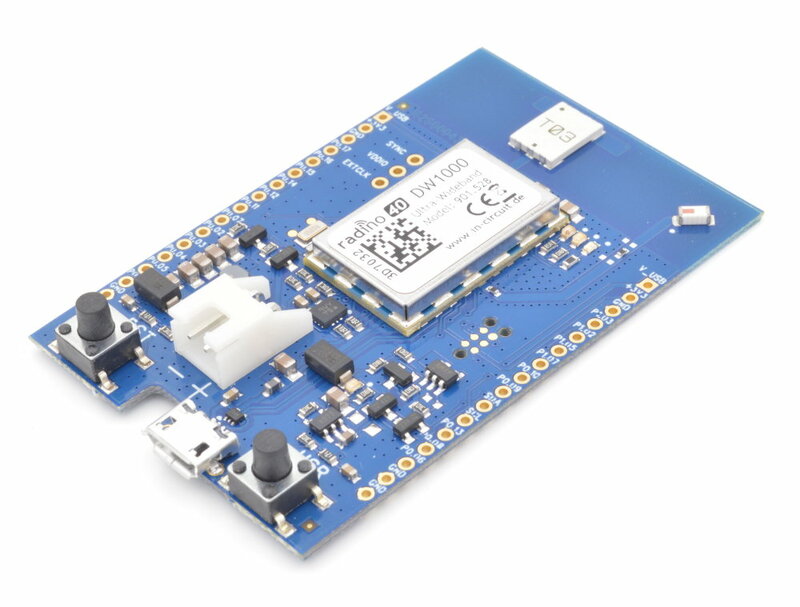 The headers are breadboard compatible, making the device a perfect development environment for radino40 DW1000. 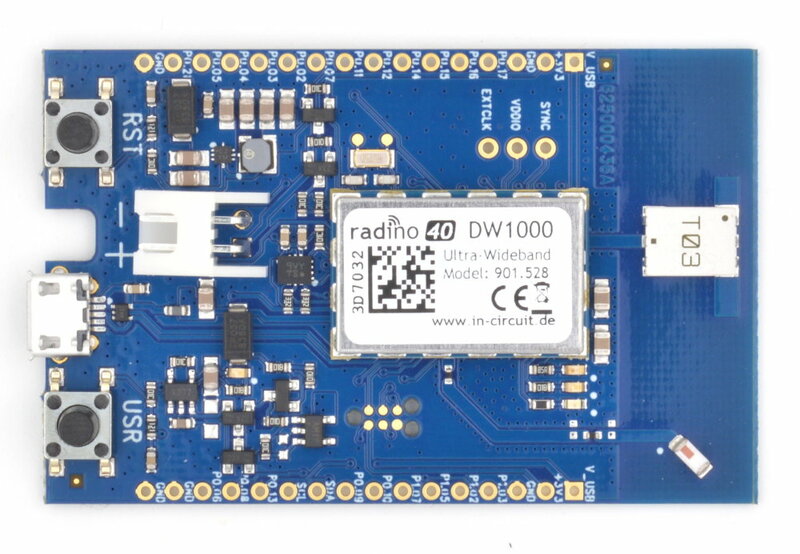 The In-Circuit radino40 DW1000 combines Nordic Semiconductor 's nRF52840 microcontroller and Decawave's DW1000 UWB transceiver in a small form-factor EMC-compliant module.